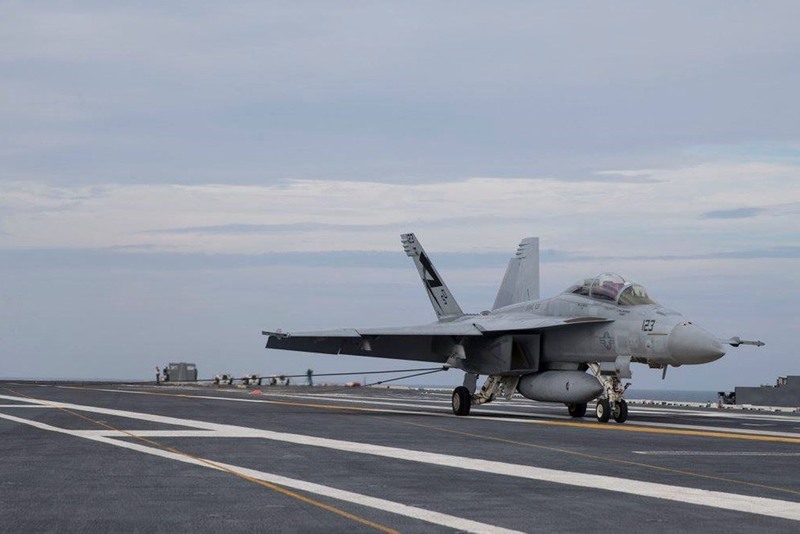 An F/A-18F Super Hornet assigned to Air Test and Evaluation Squadron (VX) 23 is launched and recovered on the flight deck of USS Gerald R. Ford (CVN 78). 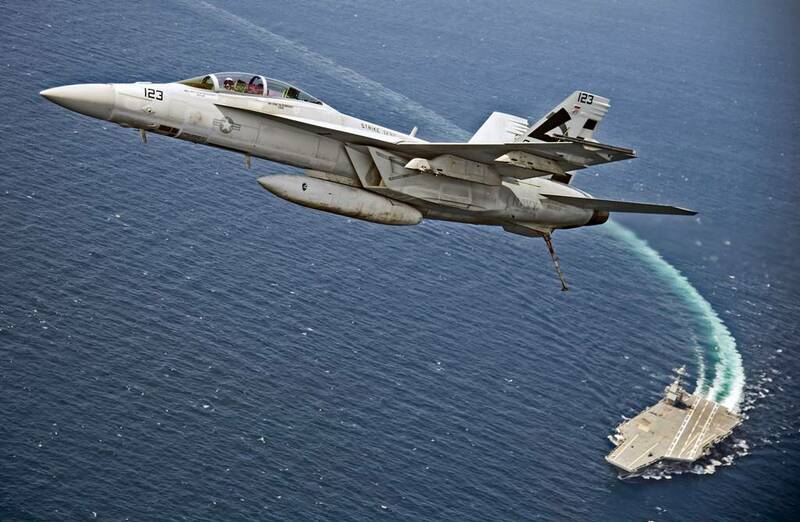 After just one week from commissioning ceremony (More details here) the newest aircraft carrier, USS Gerald R. Ford (CVN 78), launched and recovered its first fixed-wing aircraft on July 28, 2017, off the coast of Virginia. Lt. Cmdr. 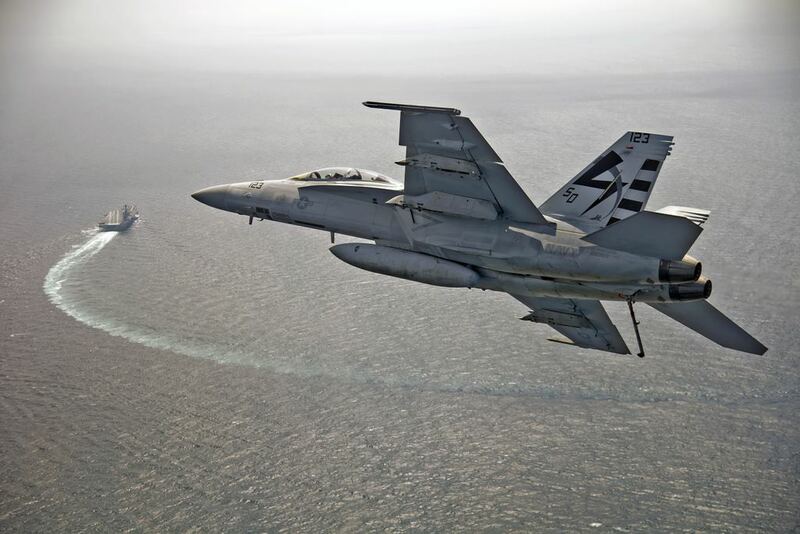 Jamie Struck of Tallmedge, Ohio piloted the F/A-18F Super Hornet from Air Test and Evaluation Squadron (VX) 23 based at Patuxent River, Maryland. The Super Hornet caught the number two arresting wire of Ford's advanced arresting gear (AAG) system and was launched from catapult one using the electromagnetic launch system (EMALS). "Today, USS Gerald R. Ford made history with the successful landing and launching of aircraft from VX-23 using the AAG and EMALS," said Adm. Phil Davidson, commander, U.S. Fleet Forces. "Great work by the Ford team and all the engineers who have worked hard to get the ship ready for this milestone." "AAG and EMALS have been successfully tested ashore at Lakehurst, New Jersey, but this is the first shipboard recovery and launch of a fleet fixed wing aircraft," said Capt. Rick McCormack, Ford's commanding officer. "My team has worked closely with industry, Naval Air Systems Command (NAVAIR), and the flight test community to make this historic event in Naval aviation happen. I am very proud of my crew." The software-controlled AAG is a modular, integrated system that consists of energy absorbers, power conditioning equipment and digital controls, with architecture that provides built-in test and diagnostics, resulting in lower maintenance and manpower requirements. AAG is designed to provide higher reliability and safety margins, as well as to allow for the arrestment of a greater range of aircraft and reduce the fatigue impact load to the aircraft. The mission and function of EMALS remains the same as the traditional steam catapult; however, it employs entirely different technologies. It delivers necessary higher-launch energy capacity, improvements in system maintenance, increased reliability and efficiency, and more accurate end-speed control and smooth acceleration. EMALS is designed to expand the operational capability of the Navy's future carriers to include all current and future planned carrier aircraft - from lightweight unmanned aircraft to heavy strike fighters. "I could not be more proud of the men and women who, for the better part of the last two decades, have worked to bring these new technologies to the fleet," said Capt. Stephen Tedford, program manager. "Their perseverance and dedication to service have made this day possible." "My team has worked very hard, together with experts from NAVAIR, Huntington Ingalls Industries, and General Atomics, to test this first-in-class technology," said Cmdr. Thomas Plott, head of Ford's air department. "Today is a validation of their dedication and hard work." Source: Commander, Naval Air Forces Atlantic P.A.